If you are considering remodeling your home, one of the first things that comes to mind for many people is, can I do this myself? There are certain DIYs that can be done by an amatuer, such as painting or minor landscaping. When it comes to the design of your home, if you want it done right, have it done by a professional! 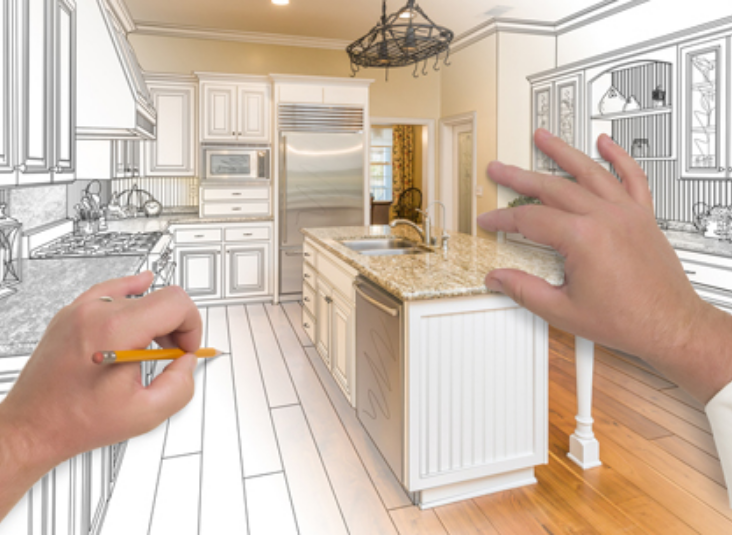 Surprisingly enough, hiring an interior designer to help you plan a renovation will actually save you a lot of money. With all of their experience, they will be able to notice details that would otherwise be left out and need to be fixed later on. Adjusting plans as you go, asking contractors and workers to come back, and the amount of time your house stays on the market all add up very quickly. A professional look will sell a house, whether you’re trying to sell now or later on. Interior designers know better than anyone on where to go for the best quality and the best deals when it comes to home decor, furnishings, materials, and contractors. Their knowledge of stores and brands will save you valuable time researching and comparing products and businesses. Their connections can be much greater than someone not in the profession, and will therefore be able to identify the best contractors, plumbers, and electricians for the project as well. With the training that interior designers have, they are able to see the overall picture and layout much more efficiently than an amatuer, and be able to identify which pieces will fit the size and scheme of the room without having to buy and return items. They will often be able to make adjustments to pieces you already own, perhaps reupholstering a chair or staining a table to better fit the new look. They are trained to think creatively, and are capable of making spaces look unique to your personality. Perhaps the most important task an interior designer will fulfill for you as you design a home, is planning ahead. A designer knows which steps come first, such as choosing the layout of a room before putting in outlets to avoid awkward arrangements, or to choose furniture before paint color. There are so many options to consider that designing a space quickly becomes overwhelming, but with the right interior designer, a house can become a home quickly and efficiently. Jamie is a writer, home-improvement enthusiast and a fan of all things DIY. Hiring an interior designer might not be for everyone, but surely has it's benefits. It certainly takes the weight off your shoulders and helps make remodeling a breeze!